A chunky picture of this friendly insect with a small bee on his back. The large scale black and white chart is printed 10 stitches to one inch. 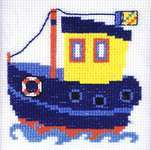 The pattern is worked in whole cross stitch and backstitch in six shades of soft embroidery cotton. 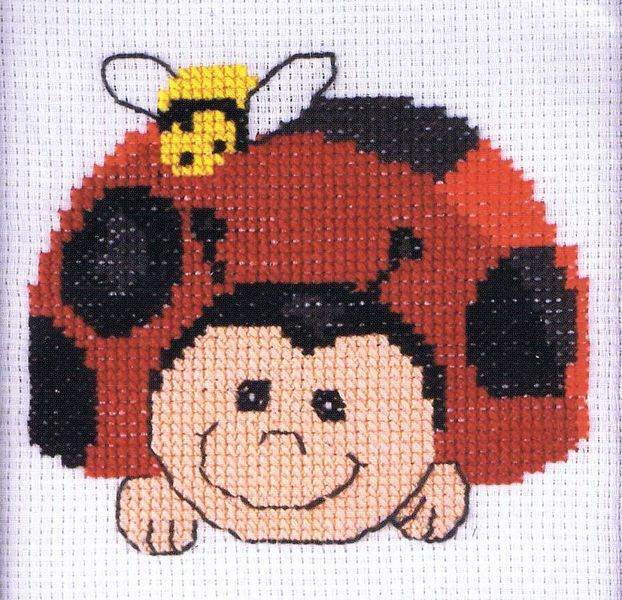 The stitch count is 52 by 46.